I was going to post on KLUTE last week, but between my Internet service going on the fritz and getting swept up in Oscar Fever, I never got around to it. Better late than never though, and KLUTE is definitely a film worth your time. It’s a neo-noir directed by that master of 70’s paranoia, Alan J. Pakula, who’s also responsible for THE PARALLAX VIEW, ALL THE PRESIDENT’S MEN, and SOPHIE’S CHOICE. 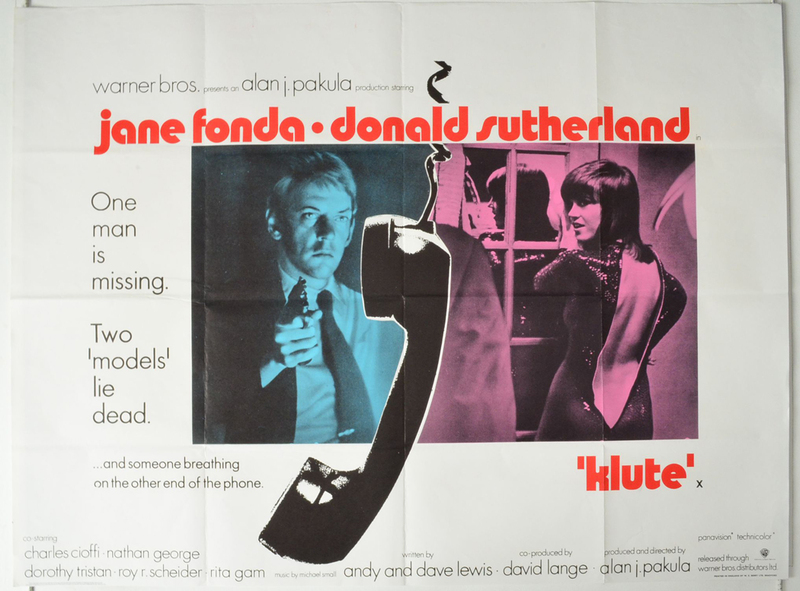 KLUTE is both an intense thriller and character study, with an Oscar-winning performance by Jane Fonda.